The owners of a Christian bakery did not discriminate against a customer by refusing to make a cake featuring the slogan “Support Gay Marriage“, the Supreme Court has ruled. 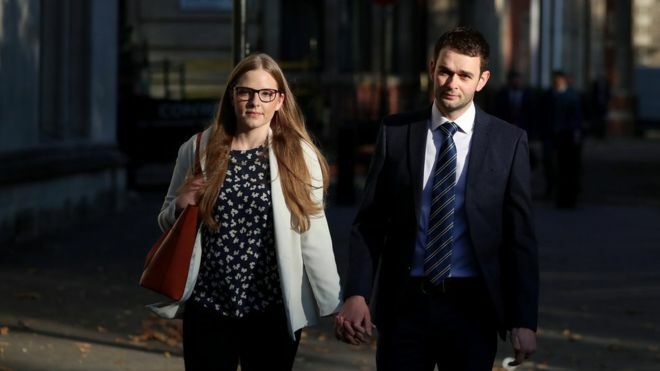 Daniel and Amy McArthur, who run Belfast-based Ashers Baking Company, won their legal battle against gay rights activist Gareth Lee, who had accused the pair of discrimination on the grounds of sexual orientation and political beliefs. Five justices on the Supreme Court were unanimous in their judgement over the dispute which began in 2014. Mr Lee initially won the legal action widely known as the “gay cake case” in the county court and Mr and Ms McArthur were ordered pay damages of £500. The couple them mounted an unsuccessful challenge at the Northern Ireland Court of Appeal in 2016 where they contended that it never had an issue with Mr Lee’s sexuality, but it was the message that they did not support.